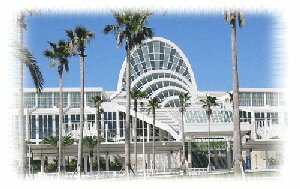 The National Public Safety Telecommunications Council (NPSTC) will be holding an in person NPSTC Meeting in Orlando, FL at IWCE 2018. Come be a part of improving public safety communications and interoperability through collaborative leadership. Together we can create one unified voice for public safety. This session will provide a "year in review" of key milestones and accomplishments with public safety broadband in the U.S. Key leaders within NPSTC will discuss this rapidly changing landscape with a focus on issues that impact first responders at the operational level. Learn the top 10 issues that will impact public safety, understand the importance of standards and open architecture to create a multi-vendor ecosystem, and get information on key advances with MCPTT, sensors and IoT, deployable systems, and LMR integration. This session is important for anyone who needs to know the key topics and activities of the past year. With the advent of a nationwide network such as FirstNet, the sheer number of users will need to be managed, as well as to be vetted somehow. A system for creating a Push to Talk ID for each individual, vehicle, and device will need to be created and managed, and made available to any agency across the U.S. In addition, identiities need to be authenticated and credentials will need to be created and tracked. And then lastly, although the ID is available to anyone, users will need to be placed within talkgroups, which are similar to those used in LMR systems today, such as 8CALL90 and VTAC11. All this management needs a system of standardized names for consistent operation, as the PTT ID is a critical safety feature to avoid duplication and ambiguous ID data. Review the six factors that must be addressed in the creation of standardized Talkgoup names for nationwide interoperable LTE talkgroups, and explore ICAM, or "Identity, Credentialing, Access Management." The expansion of IoT into the world of public safety offers opportunities but also creates challenges. Take a look into the vast array of IoT that interfaces with public safety operations, including smart devices, applications, smart cities, connected/autonomous vehicles, drones, home assistants, virtual reality, artificial intelligence, GIS, LMR, enhanced PTT over LTE, enhanced location services, cloud computing, and cyber security. Also, examine how FirstNet will interact with the IoT environment to support public safety. Data interoperability and system life cycles are important considerations as is the aggregation of large amounts of data to create easy to digest summaries for first responders. Learn how public safety agencies can trust IoT data coming from NG911 and FirstNet. Lastly, discuss the operational requirements and considerations for public safety agencies as they implement IoT sensors and devices. Robots are now capable of operating as airborne, land, and water based vehicles to improve public safety response. Review the current state of technology with public safety and military robots while examining the role of artificial intelligence and voice control technology. These devices may also function as a communications hub that becomes an intermediary between the first responder and the PSAP to manage voice, data, and video. First responders will be assisted at an emergency scene by next generation robots, including units that are capable of analyzing an incident and then initiating independent action. Public safety personnel will need to communicate with these robots using voice control and gesture recognition. Case studies will be presented on how these advanced devices may assist first responders during specific missions, including law enformcement, fire, and EMS. Barriers to adoption will be highlighted with associated solutions. Take a glimpse into a crystal ball, at public safety tehcnology and operations in the Year 2030 and how the FirstNet public safety broadband netowrk has evolved. Using industry trends and thechnology roadmaps from leading research institutions, see examples of what a future emergency response may look like for law enforcement, fire, and EMS. The rapid advance of technology will result in a cultural shift and changing expectations of public safety by elected officials and citizens. Case studies will be presented that couple the technology discussion with shifting operational priorities and new policy concerns. A light hearted discussion will include what might go wrong with the increasing use of automated systems and artificial intelligence platforms destined for implementation in most PSAPs and on many first responder devices. The information presented will allow public safety agency executives to better control their emergency communications destiny. The Department of Homeland Security (DHS) Project 25 Compliance Assessment Program (P25 CAP) is the only formal, independent process for ensuring communications equipment declared by the supplier actually is P25 compliant and tested against the standards with publicly published results. P25 CAP has taken steps to streamline the program and increase efficiency, including revisiting how manufacturers provide Summary Test Reports and Suppliers' Declaration of Compliance documentation. DHS continues to promote and pursue Inter RF Subsystem Interface (ISSI) and Console Subsystem Interface (CSSI) testing. DHS wants to hear from public safety, industry, and other P25 stakeholders on how the program can continue to improve. Come tell us what test you would like added to the program or perhaps an idea for a new resource? Finally, DHS will highlight future focus areas and changes to the program. We will also explore the role of P25 CAP in the integration of P25 and LTE. * Location subject to change. The weather in Orlando during March is part of what makes the city a top travel destination. The average temperature in the Orlando area in March is 65 degrees Fahrenheit with an average high of 79 and an average low of 56. The North/South Building's North/South Concourse parking lot can be accessed by two entrances – Universal Boulevard (north side) or International Drive (south side). Using the entrance off of Universal Boulevard is encouraged when attending events in the North/South Concourse. Click here to view the parking map. The fee for parking at the OCCC is $15.00 per car per entry and $25.00 for oversized vehicles, i.e. buses, per entry. After 5:00 p.m., the charge is $10.00 per car per entry and $15.00 per oversized vehicle per entry. The OCCC accepts cash, traveler's checks, American Express, MasterCard and Visa. If you have any questions, please contact the Support Office at support@npstc.org or 1-866-807-4755.